Twenties And Fabulous by Kristen Berk: Shop Local For The New Year! Shop Local For The New Year! I love to do most of my shopping in the mall, but sometimes I forget about the great selection of products that local boutiques and shops offer in my city. In fact, it never occurred to me how much money I spend supporting big retailers rather than local businesses, until I recently discovered a new website called The Chic Canuck. Although its a pretty new website, founded in 2014, The Chic Canuck offers some really great products created by Canadian artists and companies. The items they carry range from skincare, home decor, jewelry and accessories. 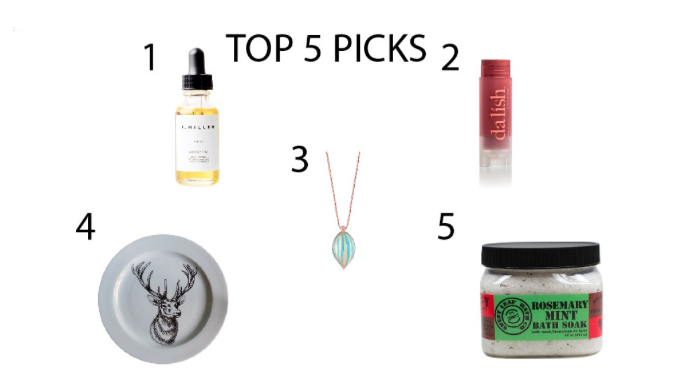 As there are so many amazing items available on this website, I have decided to create my top 5 favourite items from The Chic Canuck. 1. 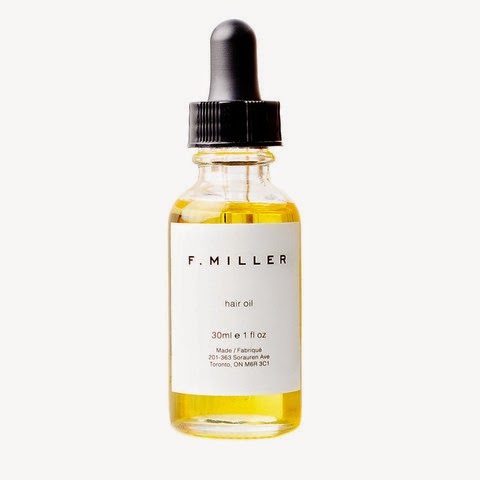 Hair oil and treatments have been big a beauty trend over the past couple of years, which is why I decided to select hair oil from the brand F.Miller as my first item. This product is incredibly hydrating and nourishing for the hair as it is infused with 14 different botanical oils that will help to improve the appearance and strength of the hair. Some of the ingredients used are my favourite oils: argan oil, pomegranate seed oil, grape seed oil and avocado oil to name a few. Not only is the product helpful to maintain the hair, but it is also beneficial for individuals that may suffer from dandruff or an irritated scalp. All that is needed is 2-3 drops in your palm to place all over your dry and damp hair. 2. The second item I picked was the dalish lip and cheek balm in the shade dusty rose. This product is 75% natural and is multi-purpose as it can be applied to both your cheeks and lips to give it a pretty stain. Since the product is in stick form, all one would have to do is dab and then blend with their fingers until they get the desired result. Easy and simple. 3. There are so many talented jewelry designers living in Toronto, that do not often get enough recognition for their lovely pieces. As result, I choose a beautiful necklace as my third top pick from The Chic Canuck. The piece I selected is the Nelle Hana Ova Pendant in aqua. This is an18k gold necklace with a signature Nelle Hana rose heart tag. I love the elegance and class that this piece embodies. And the best part is that it's perfect to wear on a daily basis, because it's not too casual, but not too dressy. If you are not a fan of aqua, not to worry because this pendant comes in 4 different colours. 4. Since home decor always adds some punch and style to any living space, why not incorporate some Canadian pieces? Toronto artist Jacqueline Poirier creates some lovely printed plates that embody Canadian culture. 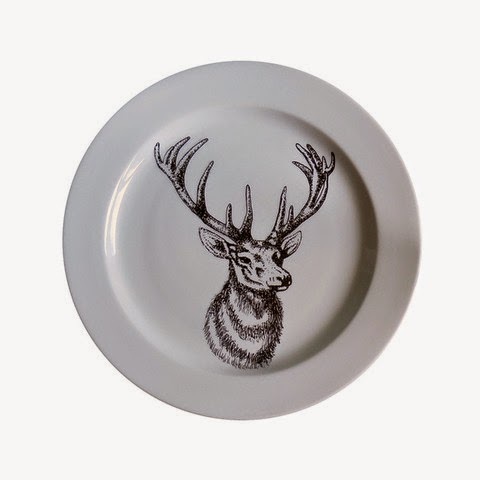 One of my favourite plates that Poirier has designed is the stag head printed plate- a Moose head. A great Canadian piece of artwork to showcase in your house or cottage. Why not show some pride- Eh? 5. 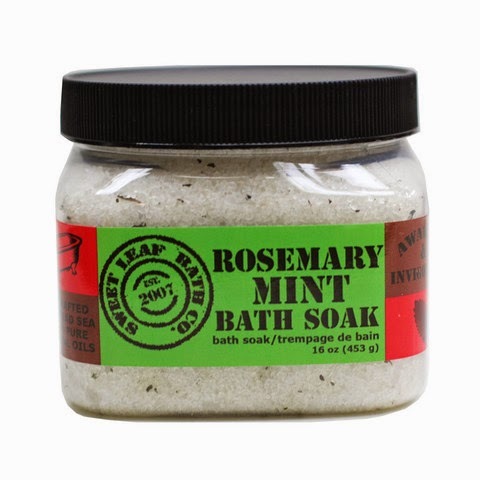 The final pick for my list is the rosemary mint bath soak from the brand Sweet Leaf Bath Co. I always like the idea of relaxing after a long day, and bath salts are such a great way to allow your body to release. These bath salts are made up of natural ingredients, some which include: dead sea salts, essential oils of rosemary and spearmint. Just pour some bath salts into your hot bath, and allow the oils to hydrate your skin, while your body detoxifies and releases built up stress. If you have never shopped local before, hopefully this post gives you some inspiration. Thank you for reading! I hope you enjoyed this post!